Vaclav Havel, the former Czechoslovakian playwright and president found himself ripped out of prison and thrust into leadership after the fall of the Berlin Wall. Here was a leader who had a sense of Czech history: a nation once ruled under the Austro-Hungarian empire, over-run by Germany before the second World War began, and then a nation run-over by the Soviet Union after it had ended. Rather than merely blame history or circumstance or bad government or bad men, he chose to turn his lens on himself and his own people as a spur for his nation to [finally] take responsibility for itself. This is a big idea; it’s grown up and mature; and it’s not easy for a nation to accept that it is [we are] responsible for our actions and reactions to difficult circumstances. 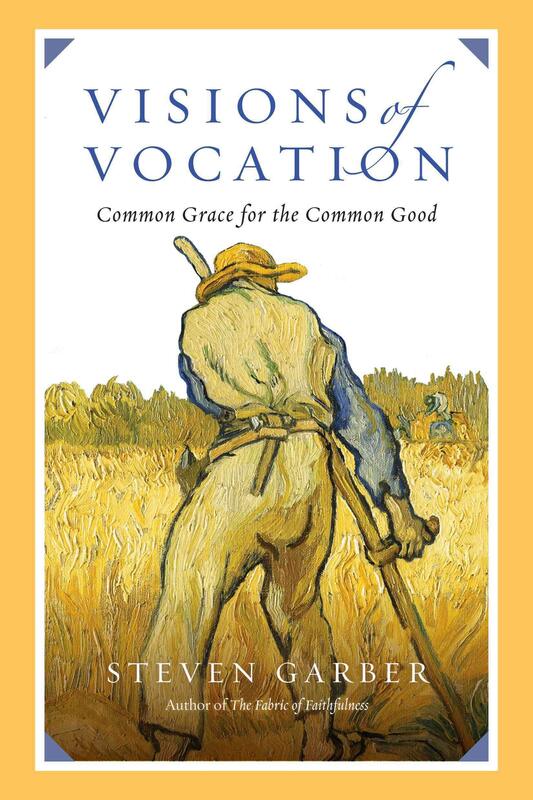 The word vocation is a rich one, having to address the wholeness of life, the range of relationships and responsibilities. Work, yes, but also families, and neighbours, and citizenship, locally and globally – all of this and more is seen as vocation, that to which I am called as a human being, living my life before the face of God. It is never the same word as occupation, just as calling is never the same word as career. Sometimes, by grace, the words and the realities they represent do overlap, even significantly; sometimes, in the incompleteness of life in a fallen world, there is not much overlap at all. I confess my career and my calling did not appear to overlap much. At first this dissonance bothered me; I continually looked for other “jobs”, especially in the dark years of having a mean-spirited and unskilled manager. But as I grew through that, and as I grew as a person, I realized that my vocation was to be the me that God wanted in the occupation where I was working. In other words, it really didn’t matter what job I was doing; it mattered very much that I understood who I was, and who I belonged to. In the last third of my career I realized that I was at the point of maximum positive influence in the lives of the staff and community I served. I realized I could channel my best for their best (common grace for common good). Nothing more or less was required of me; if my best wasn’t very good, well, that would have to do. The reality is, our best is very good when it is given with a sense of excellence and pure motive. What do you hear God calling you to – as you gather your daily bread? Good question! God’s spoke to me over the weekend about what kind of neighbors we are. I’m listening carefully as I watch the neighborhood during my hourly walks. Great post! I am so happy that you listened to God speak to you about what kind of neighbour “you are.” Isn’t that just like Him? Without His perspective, we can be fooled into worrying about what kind of persons our neighbours are. Though you did not say it – I suspect your hourly walks are prayerful; may the invisible work of prayer be seen as you bless your neighbourhood. Thanks. My local pastor taught about what kind of neighbors we are in a 3-part series last year. I stumbled across it a few weeks ago and prayed God help me put the message into practice. It’s been a blast!